The Allstate Sugar Bowl Crescent City Classic 10k will take place on Saturday, March 31, 2018 – 8:00 am. The Classic is New Orleans’ (and the region’s) premier 10k road race, and one of the oldest 10k races in the nation. For 39 years, it has combined world class competition, amateur participation and great fun for all participants. Starting in 1979 with 902 participants, the Allstate Sugar Bowl Crescent City Classic has grown to become the preeminent fitness event in Louisiana. This Easter Weekend Tradition is now, along with Mardi Gras and Jazz Fest, one of New Orleans signature events. The Classic is both physically challenging and a great New Orleans tradition! The 2018 Classic is set for Saturday, March 31st at 8:00 am. The race will begin on Poydras St. near Loyola Ave. in Downtown New Orleans and end in New Orleans City Park near the New Orleans Museum of Art. On race morning, jump on a bus from City Park or show up at Champions Square wearing your bib number and simply match the color of your number to the color of your assigned corral to find your starting position. Get ready to run (or walk) one of the most scenic courses in one of the most unique cities in the country. Our 6.2-mile course leads participants from downtown New Orleans, through the French Quarter, all the way up Esplanade Ave. to beautiful City Park. *Entry fees are non-refundable; $5 discount offered to all Military members. After the race join us at the best post-race festival in road racing! The Michelob Ultra RaceFest takes place inside City Park, at the new Festival Grounds, rewarding participants with free refreshments and live music until 1:00 pm. The Michelob Ultra RaceFest is free for runners and $25 for anyone else who would like to attend (children 10 yrs and younger can enter for free). 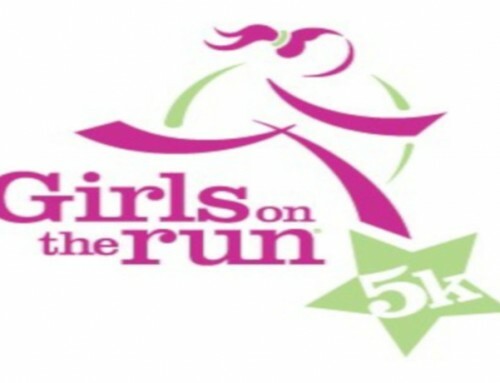 Tickets can be purchased online when registering, at the Expo, or at the Reunion Shelter in City Park on race day. MAIL BACKS: Participants may have their bibs mailed to them. The Mail Back option is $20 extra per bib and available to purchace when you register online. It will be sent to the address provided when you register, one month prior to the race. The deadline for registering Mail Backs is January 19, 2018. We no longer offer bibs with names printed on them for the Mail Back option. NO RACE DAY NUMBER PICK UP AVAILABLE. Race T-shirts can be picked up during the Expo or on race day during the Michelob Ultra RaceFest. If you had your bib number mailed to you, you MUST bring it with you to the Expo to pick up your race t-shirt. The “Run For It” Program is the Official Charity Program of the Allstate Sugar Bowl Crescent City Classic. The goal of the “Run For It” Program is to raise $1 million annually and serve the Greater New Orleans area needs. Each year, the Crescent City Fitness Foundation selects local charities to support and partner with for the 10k race, by donating 100 charity bib numbers (guaranteed race entries) to each Charity Partner for the following year’s Allstate Sugar Bowl Crescent City Classic. Official Charity Partners recruit and form teams of 100 charity runners/walkers, who can commit to raising a minimum of $200 for their charity by race day. Official Charity Runners receive various perks and incentives for joining the program, including a personal online fundraising page. All of the money raised will be donated directly to and benefit our selected charity partners. The River Parish Disposal Team is so proud to support this great event. We will provide Portable Toilets, Dumpsters, Hand Washing Stations, disposable boxes, and clean up crews. Good luck and we see you at the finish line.